Looking to Hire a Contractor? Be Sure To Do Your Homework First. 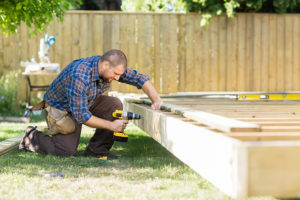 So, you’re planning a home remodel or some landscape work – great! Most people start this process by laying out exactly what they’d like, then calling out to multiple companies to get the best quotes to have the job completed. After all, this is your palace and it should be exactly as you’d like it! So, you browse the internet and find a contractor on the popular site, Craigslist or other internet directory who will perform your job for ½ of what your other quotes are. Can this be too good to be true? Maybe… Craigslist and other free classified ads are terrific resources for all sorts of goods and services. However, when you’re inviting in a contractor to your home, be sure to ask them for credentials before they come over to give you a bid. Following these steps can save you from theft, liability and even money. Research and ask questions: If you found a great contractor and you like him/her, ask them if they have a website or if there is someone who has had work done by them recently that you can talk to. If a contractor is proud of the work they do, they should have several resources for you to call. It is okay to ask for reference and most people expect it. Most small businesses survive off of word-of-mouth advertising, so don’t be shy. Utilize the internet to look up their license: Contractors are required to have a license to perform work. You can utilize your states resources to find these contractors. An internet search will provide you with some quick references. You can even make your job quicker by asking them to provide you with a copy of their license or number. Get specific: Not only is it important to protect your insurance from a scam, but ensure your pocketbook doesn’t get taken for a ride too. Ask questions like, “Is this an estimate or a final bid?” “Does this estimate include parts and labor?” “Can I see where you’re buying the products beforehand?” The more questions you ask, the better you will feel and the more the contractor will understand that you’re educated on this process. Hiring a contractor this way can be a great option! It is possible to really save money on these services, but just using some simple, quick research and asking the right questions can save you a bundle as well as a headache! As far as saving money on your home goes, contact the insurance agents at Roane Insurance Agency. Our agency represents the top insurance companies and can find you the best home insurance coverage for your needs. Get a quote today.